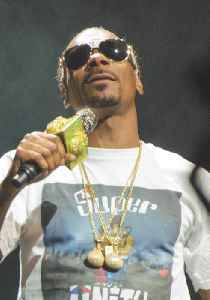 Calvin Cordozar Broadus Jr., known professionally as Snoop Dogg, is an American rapper, singer, record producer, television personality, entrepreneur, and actor. His music career began in 1992 when he was discovered by Dr. Dre and featured on Dre's solo debut, "Deep Cover", and then on Dre's solo debut album, The Chronic. He has since sold over 23 million albums in the United States and 35 million albums worldwide. Director John Singleton suffered a stroke, his family confirmed in a statement provided to USA TODAY Saturday by spokesperson Shannon Barr.